I CHOOSE THIS NAME AFTER THE BREATHTAKING TURQUOISE WATERS AT HOLBOX ISLAND (MEXICO) AND ITS CONTRAST WITH ITS POWDER LIKE WHITE SANDS. 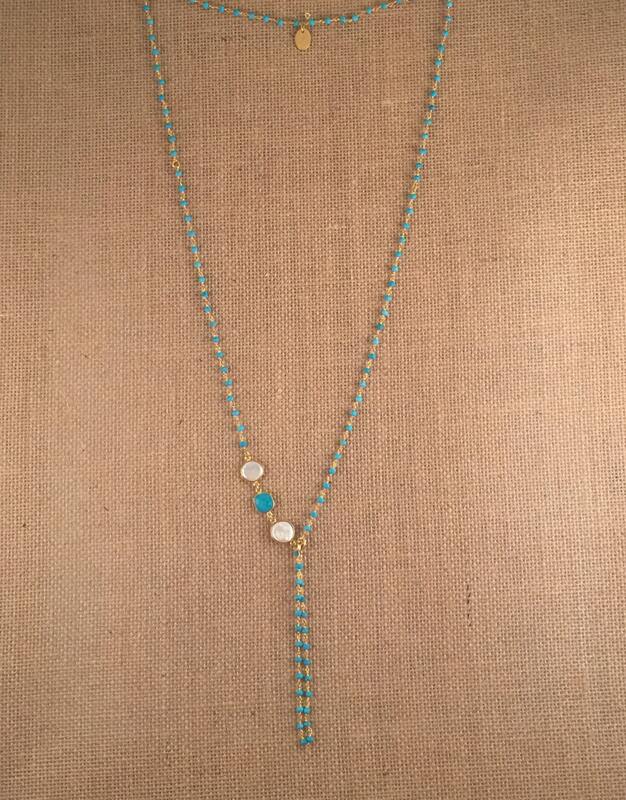 TURQUOISE HAS A NATURAL ENERGY THAT HELPS TO COMMUNICATE WITH TRUTH, IS A STRONG STONE OF SPIRITUAL ATTUNEMENT AND A VERY EFFECTIVE TO AID COMMUNICATION, AMONG OTHER PROPERTIES. 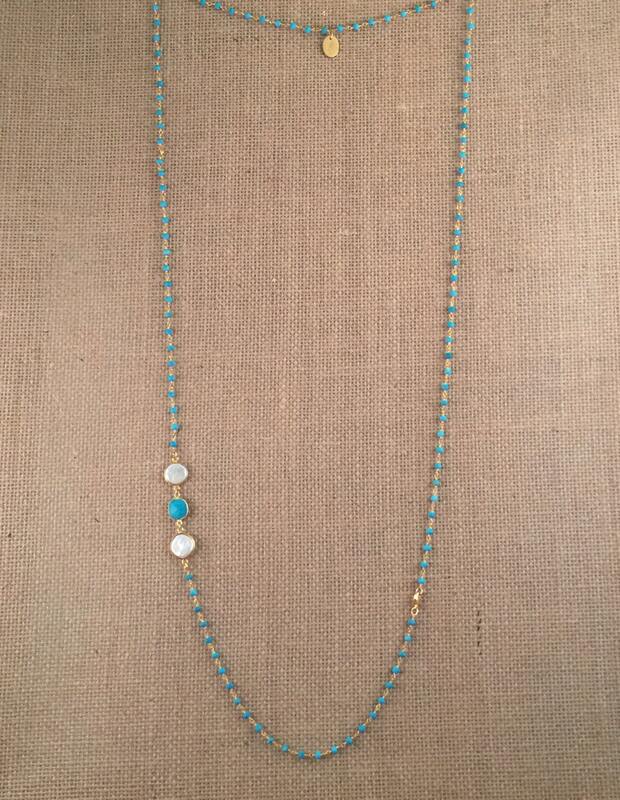 THIS NECKLACE HAS A PERFECT LENGHT (44" LONG) TO USE DOUBLE WRAP OR LAYERED ALONG HOLBOX I NECKLACE. 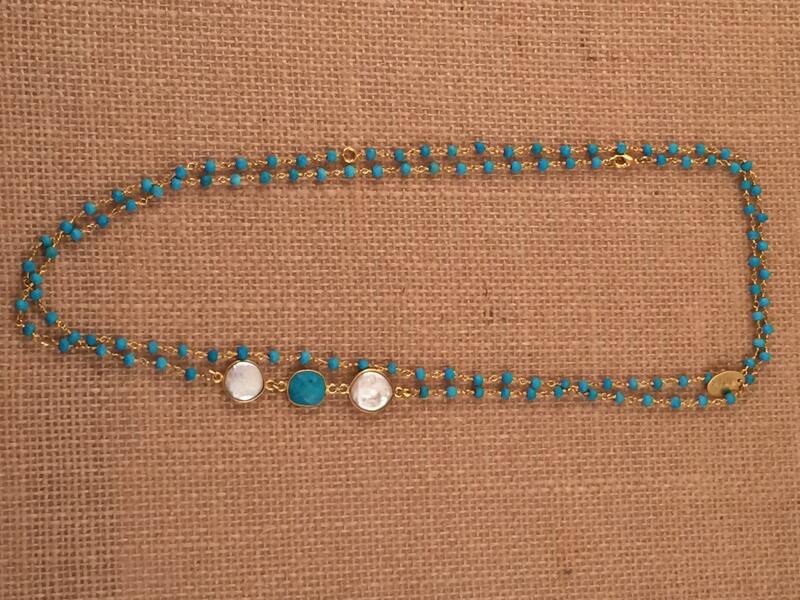 HOLBOX II IS THE COMBINATION OF AN ESQUISIT TURQUOISE BEADED CHAIN WITH THE TOUCH OF 2 FRESHWATER BAROQUE WHITE PEARLS AND A BEAUTIFUL TURQUOISE HOWLITE GEMSTONE. 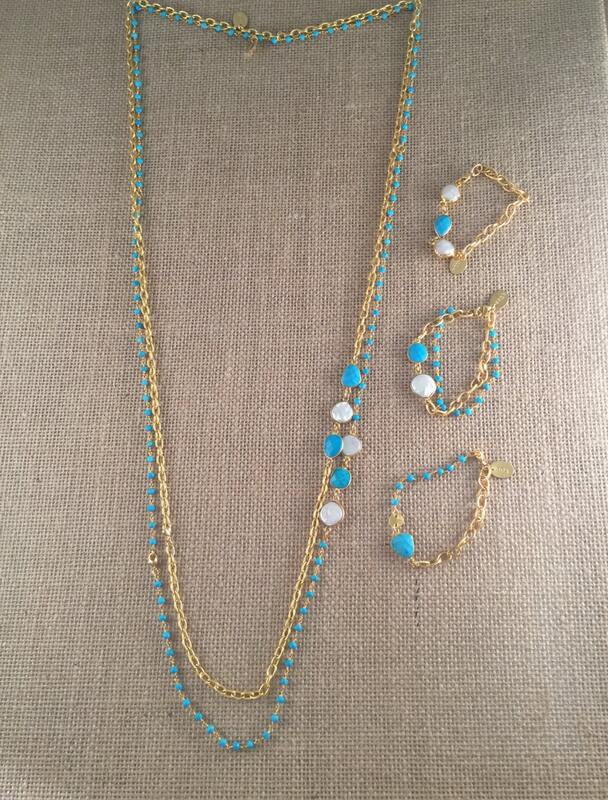 IN THE 1ST AND 5TH PICTURE " HOLBOX II NECKLACE" IS SHOWN WITH THE OUTSTANDING GOLDPLATED LINK CHAIN NECKLACE "HOLBOX I ", THAT IS SOLD SEPARATELY, AS WELL AS EACH PIECE FROM THIS LINE. 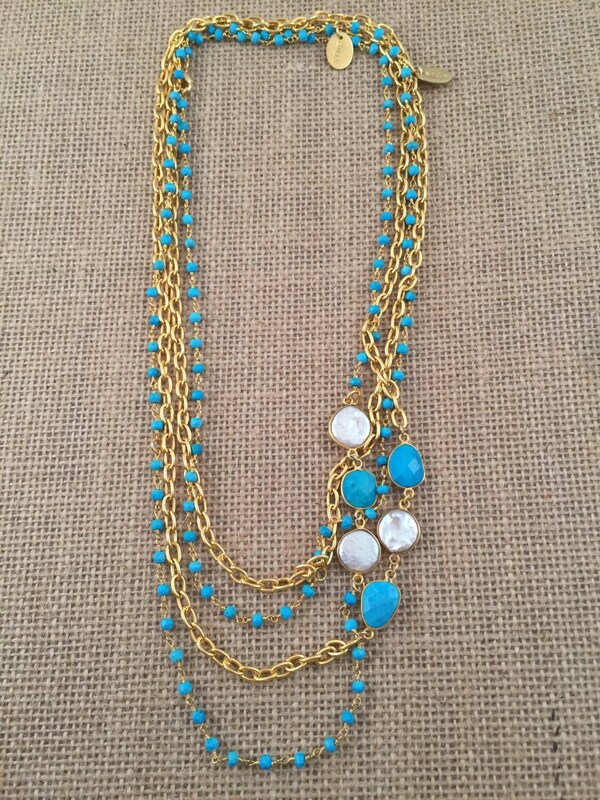 WHEN YOU USE THEM LAYERED OR DOUBLE WRAP TOGETHER, I THINK OF A SPLASH OF WAIVES AND SEA FOAM IN THE SUN LIGHT!! !